There was a time when kitchens were designed for the individual women who would spend their days in them—counter tops and sinks were measured to be ergonomically kind to their users, to facilitate easy use and minimize strain. And people dedicated their careers to making homes more livable. In her book The New Housekeeping Efficiency Studies in Home Management, author Christine Frederick devised a chart which determined the ideal counter height for women of various heights. For a five-foot-six woman, the bottom of her sink should be 31 inches from the ground. But as demand grew, standardization became necessary to speed up production. In Quartz, Rachel Z. Arndt describes how that shift ultimately occurred at the expense of the women who used the kitchens. The sink was the first kitchen object to be standardized. It became part of the continuous countertop—a single height dipping or lifting for no appliance, a look that fell in line perfectly with modernism’s minimalist lines. Everything else rose to meet the sink—the counters, the stove, the cabinets all converged at 36 inches above the floor, writes Leslie Land in her study of modernism and kitchens. That was much too high for the 5-foot-3 average-height woman of the time (and too high even for today’s average 5-foot-4 American woman). Maybe that height was because that 31-inch sink base—which was actually close to a suitable height for a 5-foot-3 woman—made the lip of the sink an ad-friendly yardstick high. Maybe it was because, as Land writes, another engineer, Lillian Gilbreth, had a 5-foot-7 woman in mind when she designed demonstration kitchens, with their layouts based on motion studies of women at work. Maybe it was arbitrary. No matter—it was set, giving society a yardstick by which to measure the woman and her space alike. Arndt asks if designing a kitchen based on an idealized model of women’s bodies reinforces sexism by producing a domestic space specifically for women, or if the standardization was just a practical response to social roles that already existed. 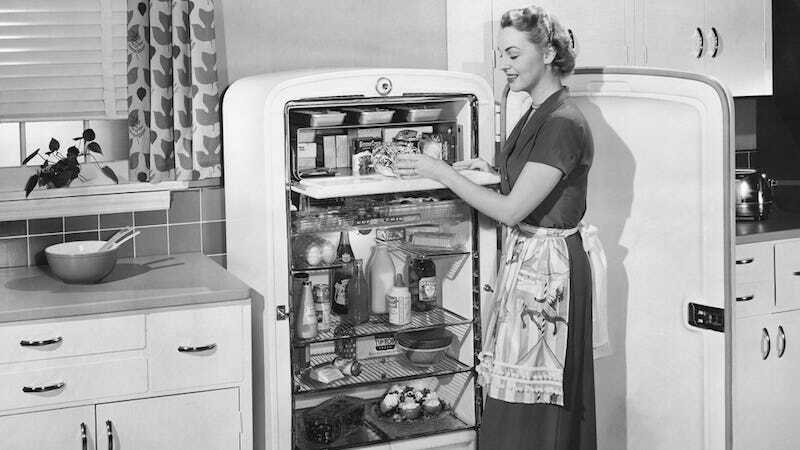 Regardless, today, our kitchens are still based around that 36-inch standard—meaning they are perfect for the rare five-foot-seven woman, and no one else.